Because of the summer break and a recent foreign holiday, my bike had remained idle for much longer that I really like. Yesterday however, I received a last minute and much needed leave pass thanks to my mum taking the kids and Ang snoozing after a night shift. I had nothing planned but some of the best rides start that way. 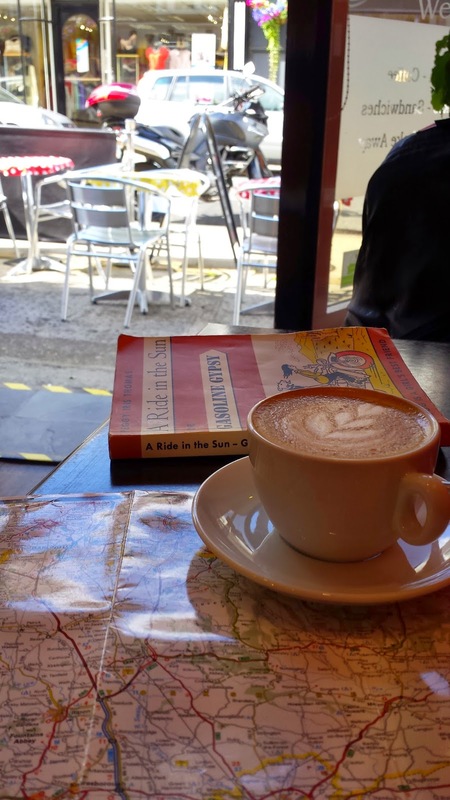 Chucking my map and tea making kit into the box, I headed off to @BeanandBud to look things over and enjoy one of their fine flat whites. 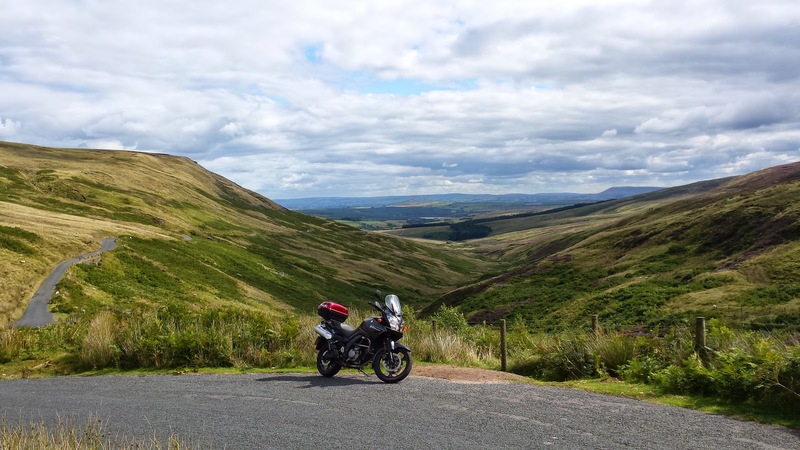 I was looking to explore somewhere new and there isn’t much I haven’t seen round here so I had to look further afield and accept there would be some unavoidable A road (highway) riding. Before my coffee was out I’d settled on an area called the Forest of Bowland, just across the border in Lancashire (spits on floor). I drained the dregs and hit the road. I wasn’t disappointed. I suffered the A59 all the way to Clitheroe (actually not that bad) then I followed the B6478 to Newton-in-Bowland where I planned to head north towards a marked viewpoint. I was totally blown away by that stunning views on the section of road over Waddington Moor. In fact I was thinking it would be nice to ride it back again and get some pics. Time however was not on my side. Apparently, luck wasn’t on my side either as my route was soon blocked by bridge works. forcing me to retrace my steps. Still, I got those pictures. The diversion (pretty obvious on the map) wasn’t anything worth writing about so I didn’t take my time. 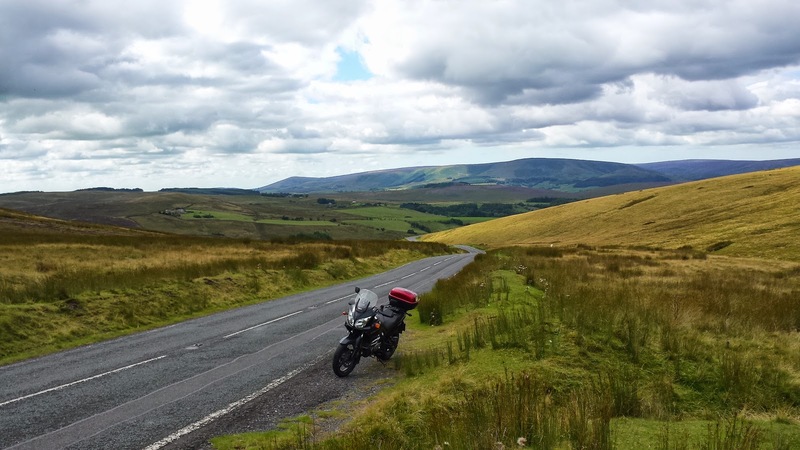 Once I was on the northbound road from Slaidburn, I was once again being blown away by the scenery. 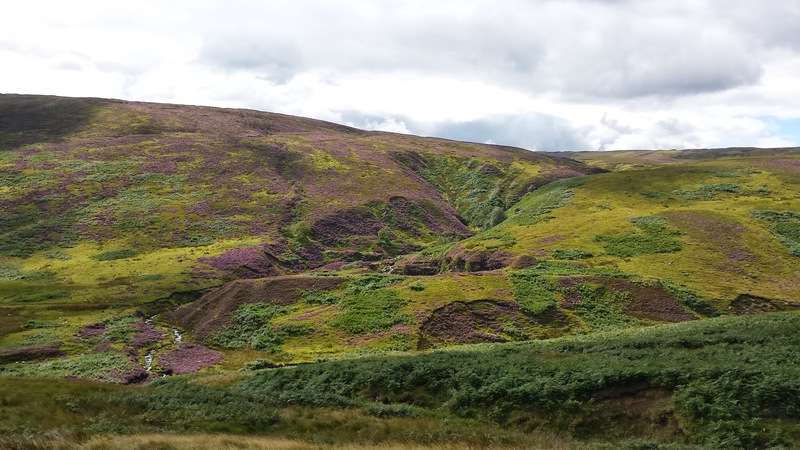 The heather was in bloom and being so close to the clouds gave the impression I was on top of the world. It made me think of a recent post on the FUZZYGALORE.COM blog, reflecting on the difficulties/impossibilities of sharing what you see from the saddle with others. So true but I still stopped every few meters to take yet another pic. However, if you can, you really should go out and ride this. Maybe not if you’re only interested in knee down antics. In fact if I was going to do this again, I’d probably use the YBR125 and make a whole day of it. This is one to savour. Sound like a great day out. some of my best rides are the impromptu ones. My wife and I was over there in September last year (on 4 wheels) and you certainly have some great bike road. Very similar roads to Tasmania where I learned to ride. We stated at A pub in Long Preston. Like I said a great area. If I ever get there again I would love to do it on a bike.